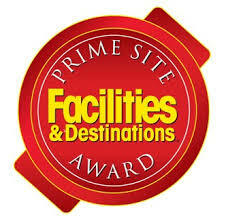 Spectra, the providers of Venue Management and Food Services & Hospitality to the Owensboro Convention Center is excited to announce they have received the 2019 Facilities and Destinations Prime Site Award. These awards are given to the top convention and exposition centers in the United States. Facilities and Destinations is a quarterly trade publication for the meetings and events industry, and voting for the Prime Site Awards is done primarily by association and corporate meeting planners and tradeshow professionals. The Owensboro Convention Center will be featured as a Prime Site Award recipient in the upcoming 2019 Facilities and Destinations SuperBook issue publishing in June.